Brett Young hits the road as he presents Ticket To L.A! 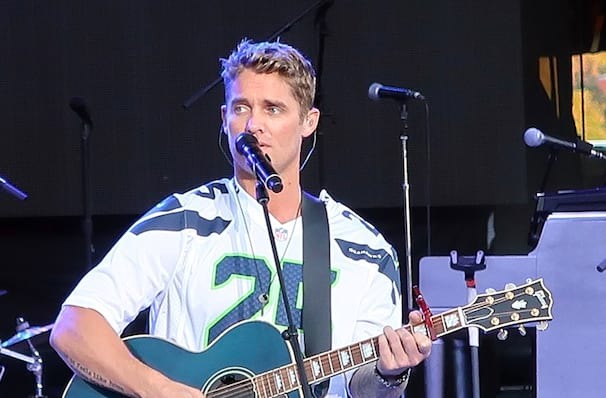 American country pop singer and songwriter, Brett Young is hitting the road in 2019 in support of his second album Ticket To L.A which saw the star hit the top of the charts at the end of 2018. With vocals as smooth as butter and baby blue eyes Brett Young is Country music's heartthrob, and rising star! 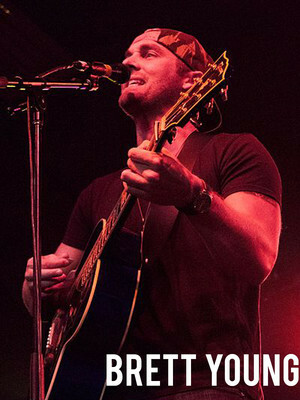 Brett Young has been described as one of country's biggest break out stars over the last two years. Young's hits include 'Incase You Didn't Know' and 'Like I Loved You'. In 2018, Young was named ACM's New Male Artist of the Year! And saw his single, 'Mercy, reach number one on the Country Airplay chart. Sound good to you? Share this page on social media and let your friends know about Brett Young at Fillmore Auditorium. Please note: The term Fillmore Auditorium and/or Brett Young as well as all associated graphics, logos, and/or other trademarks, tradenames or copyrights are the property of the Fillmore Auditorium and/or Brett Young and are used herein for factual descriptive purposes only. We are in no way associated with or authorized by the Fillmore Auditorium and/or Brett Young and neither that entity nor any of its affiliates have licensed or endorsed us to sell tickets, goods and or services in conjunction with their events.